I had a helluva time getting through this book. If it had been fiction, it would have been bashed against the wall before page 80. But because it's an essay collection, subdivided into sections entitled "The World-Class Critic," "The Adoring Fan," "The Sixties Child," "The Feminist," "The Navigator," and "The Sociologist," with the essays grouped around those themes, I thought, well, I'll just go on. Surely it'll get better. 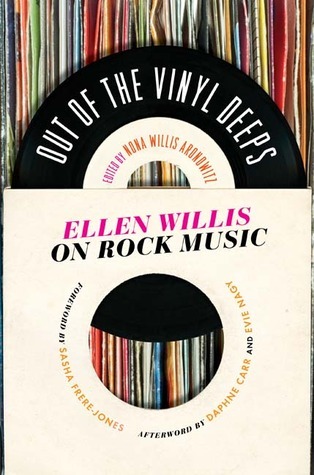 Ellen Willis was a pioneering female rock journalist, with the bulk of her musical work taking place in the sixties and early seventies. Her favorite subjects were Bob Dylan, the Rolling Stones, Lou Reed, and Janis Joplin. Speaking strictly from a technical point of view, she was a good writer--her essays are intelligent, thoughtful, and on point. Unfortunately, the very first essay in the book, "Before the Flood," (1967) about Bob Dylan, magnifies her biggest flaw: her complete lack of humor regarding her subjects. (To be fair, I think it should be MANDATORY that anyone who writes about Dylan approach him with a healthy sense of snark--otherwise, the writer inevitably starts to sound as ponderous and pretentious as his/her subject.) Her droning voice was well nigh impossible to wade through, and what little affection I have for Bob Dylan had all but vanished by the end of the piece. This way-too-serious tone marred the rest of the book. To be sure, a music writer doesn't need to have the frantic, attention-deficit-disorder style of, say, a Lester Bangs, but a few cracks about the absurdity of stardom and/or the music business in general would have been appreciated. In fact, the best section of the book, by far, is when she brought feminism into the mix. (But there still had to be a downer essay about Bob Dylan in this section to nearly ruin it, dagnabbit.) She talks about bands/artists such as the Joy of Cooking and Ms. Clawdy that I've never heard of, and describes them so eloquently it makes me want to search for their music. Her voice is more focused and eloquent in "The Feminist," and a couple of observations even approach the wispy edges of humor! I believe there are a few more collections of Ellen Willis's essays out there, and one focused on feminism might be worth picking up. I'm sure classic rock aficionados will appreciate this one. Unfortunately, for me it didn't cut it. Sign into Goodreads to see if any of your friends have read Out of the Vinyl Deeps.